I just started in the hobby and have quickly become addicted to the process. I love the planning, the finding the plant, the sculpting, and the on going care taking. 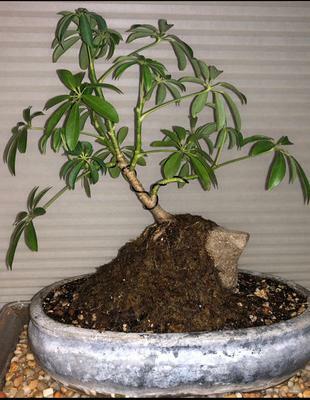 Here is my first attempt at rock over rock and i choose a Hawaiian Umbrella plant. This is about 4 months in and though you may not be able to see it, the roots are screaming downward into the ground. I am getting ready to lift more of the rock out of the ground and start exposing some of the root structure.